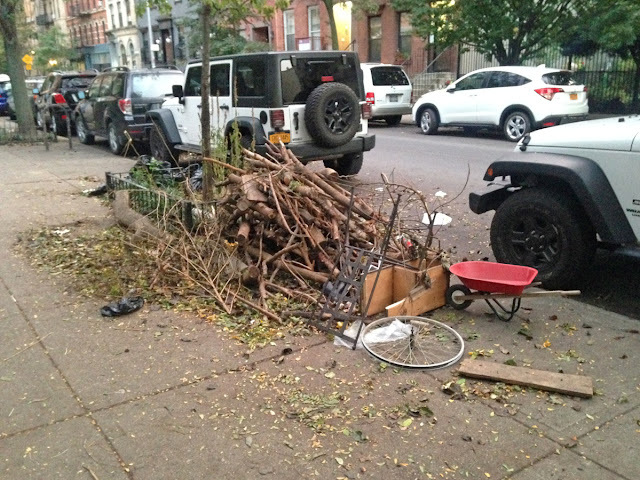 Yesterday must have been Pile Of Wood Day! 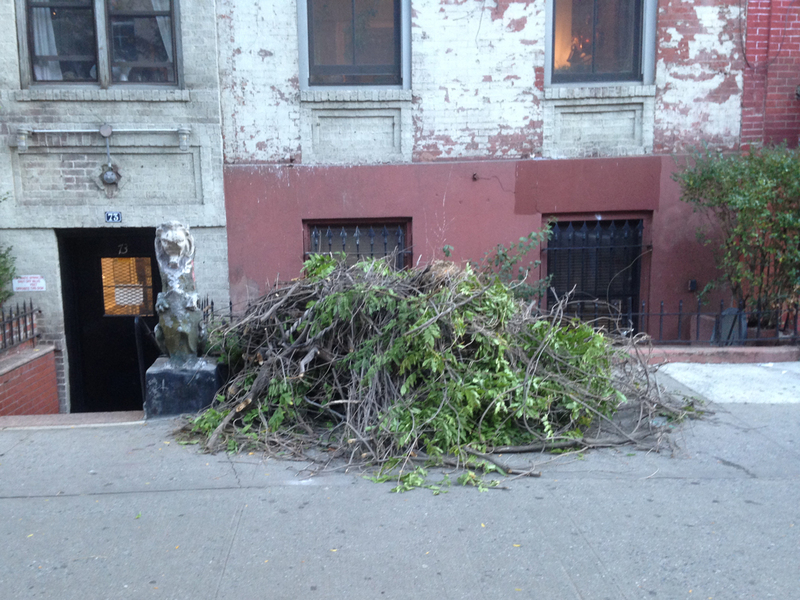 It seems like only three months ago that El Jardin Del Paraiso stacked their branches on the sidewalk! This is the downside of trees! i like the red wheelbarrow - nice touch! So much depends upon that red wheelbarrow!